Safe and secure package and mail delivery solutions. The basic design of the parcel mailbox is large and very spacious, with an elegant look. 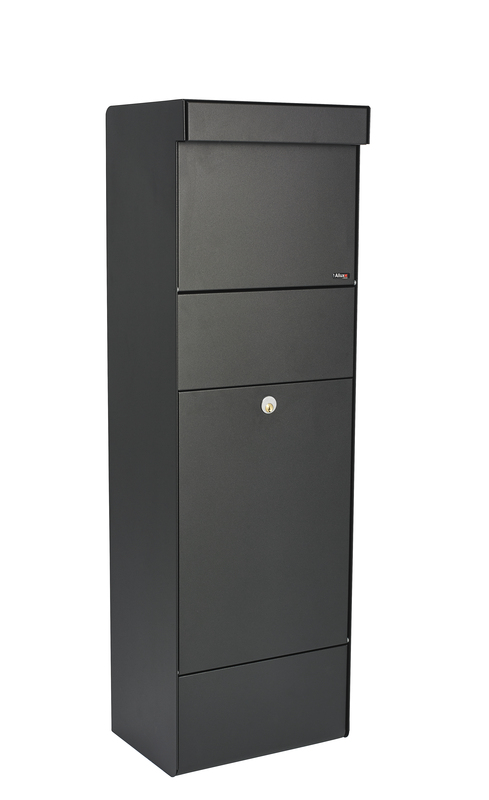 There are two models available: black powder-coated galvanized steel with a black front plate, which comes with a further four colors that can easily be changed, or black with a stainless steel front plate. Fitted with a 6-pin Ruko lock and a discreet catch for locking the slot. Parcel opening: 11-7/8" x 5-3/8" x 14-1/2"
Mailbox: 15" x 13-5/8" x 43-3/8" x 11"